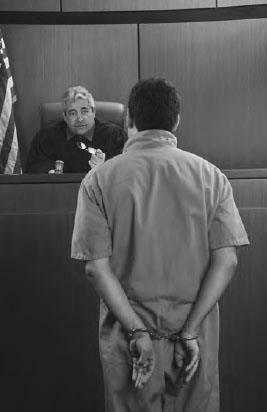 Not guilty by reason of insanity is a legal defense that means that the individual is not criminally responsible for an act he or she committed because he or she is unable to form criminal intent due to insanity. Insanity is a legal term that is quite different from the clinical term. In the United States, the legal definition of insanity varies from state to state. Most states specify that a person must be unable to appreciate the nature and implications of their behavior or to understand that it was morally wrong. Other states include the inability to resist one’s impulses is the definition of insanity. Some states have no insanity defense at all. Under federal law, an insane person cannot “appreciate the nature and quality or the wrongfulness” of the criminal acts. Although a mentally ill person might not have the psychological capacity to form criminal intent, it is not easy to prove legal insanity (iStock).